Testing new lenses depends more on how you intend to use them and less on "scientific" parameters. Do your own tests! 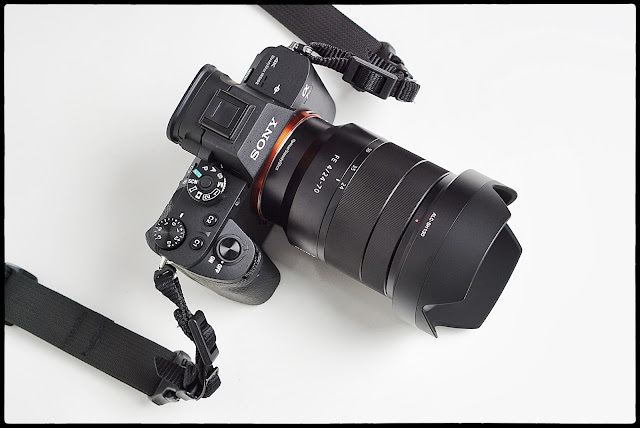 The 24-70mm f4.0 Vario Tessar zoom lens was released into the market in 2013 at a time when the highest res, high performing mirrorless camera from Sony was the Nex-7. At the time of its release there was much excitement in the photography world for just about everything new. Reviewers immediately put the lens on the Nex-7 (cropped frame) and started writing reviews. Had they waited a month or two they could have tested the lens with the full frame A7. What they found in early tests was nothing more than confirmation that the sensor in the Nex-7 could be....picky. Very picky. There are many lenses that did not work well with that sensor for whatever reason. It could have been the way the light from the lenses hit the edge pixels or even a design issue with the cover glass. At any rate the reviews of this lens were lukewarm, at best. Most said, "Sharp in the center and soft on the edges..."
These early reviews, like most first impressions, are the pervasive signposts that linger in our collective subconscious where this lens is concerned. When I was deciding which short, standard, zoom lens made the most sense for me I looked at the results that DXO got when using the lens with a modern, high resolution body, the A7R. As I recall the overall numerical score they got was around 25 which is quite good for a zoom lens in their rating system. I bought the lens without trepidation knowing that I could return it to my local dealer if I was not satisfied with its performance. But I guess my real point here is that everyone has some different idea of what constitutes a "high performance" lens. I want high center sharpness but I am less concerned with what's going on in the corners of the image frame. All lenses are compromises and while you can have a lens that is corrected across the frame you may find that the design requires that there not be a "peak" of sharpness in the center; instead the uniformity requires a slightly lower overall sharpness that is more homogenous. Which performance metrics matter most for you? If I were shooting architecture I might worry about corners that were less sharp than the center of a lens. If I shot flat copy work I would be looking at a whole different range of lenses. But am I saying that the Vario Tessar really does perform poorly? Not at all. While I haven't had time to test it extensively I took advantage of a quiet Sunday evening to put the lens on the A7R2 and to shoot lots of stuff around the studio. I tried the lens wide open at all focal lengths as well as stopped down to f8.0. I used it with flash. I used it on a tripod with LED lights and I used it handheld at 12,000 ISO. I like the lens and find it to be a very good performer. I'd be happy to use it for portraits, even wide open. I think that what people were seeing in early days was a combination of mediocre focusing on the first round of A7 camera and a mental predisposition to be critical based on the weight of the web reviews as conducted with the older Nex7 cameras. My actual experience tells me that the lens is a good match for the way I shoot and will work well on either the full frame A7R2, or on the APS-C a6300. I will say that I like the color rendition and the overall imaging characteristics of the lens very much. I also like the compactness and the lesser weight when compared to the f2.8 version. Everyone's mileage will vary but I think it's always a good idea to find out for yourself.